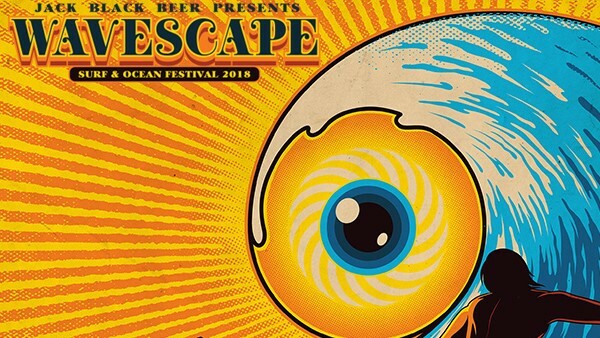 The Wavescape Surf and Ocean Festival will offer a free Filmmakers' Masterclass on Wednesday, 5 December in an aim to boost several initiatives to position Cape Town as a key film destination and location. The masterclass is presented by Wesgro and is aimed at aspiring filmmakers, producers, film students and those in the film industry. Christopher Mason, curator of the Wavescape masterclass and co-director of Mason Brothers’ Films, says, "These days, anyone with a unique idea, a DSLR camera and a laptop can be a filmmaker. The trick, of course, is understanding how to get your foot in the door in a very competitive industry." "What makes a good documentary and how does one become a good documentary filmmaker? How has the genre evolved and what are the possibilities for young South Africans interested in the genre? The masterclass aims to give aspiring filmmakers the answers to these, and other, questions," Mason adds. Steve Pike, co-founder of the Wavescape Surf and Ocean Festival, says that the platform laid by F/LM Cape Town and initiatives such as the Wavescape masterclass could help boost the already booming film industry, and thus reduce the 27.5% of South Africans who remain unemployed. "Cape Town has it all: amazing scenery and epic locations for adventure sport. Our festival is a key platform to showcase Cape Town as the adventure capital of the world while also celebrating the wild ocean and raw beauty around us," says Pike. The CEO of Wesgro, Tim Harris, says, "In the 2017/2018 financial year, Wesgro’s film and media promotion unit managed to secure nine declarations to creating 2 499 full-time equivalent jobs – this shows the potential for job creation in this sector." Harris adds, "There are many job opportunities in the film and media industry due to the breadth and depth of skills required across the value chain of this fourth industrial revolutionary industry." Several top speakers will present at the masterclass, including Jolynn Minnaar, a documentary director; Cliff Bestall, who made 16th Man for ESPN 30 for 30 (produced by Morgan Freeman); Karen Slater, a director of Sisters of the Wilderness, which is eligible for an Oscar; Khalid Shamis, editor of Strike A Rock; Liezel Vermeulen, producer and film finance expert; Izzette Mostert from the Documentary Filmmakers Association; and Monica Rorvik, head of Wesgro film and media promotion unit. 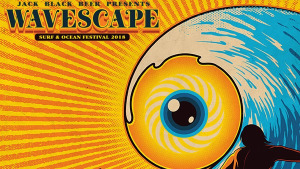 For more information, visit www.wavescapefestival.com. You can also follow Wavescape on Facebook, Twitter or on Instagram.